Custom engraved, handmade leather book. Inner page binding with screw posts. Sized to hold 8.5X11" portrait pages. 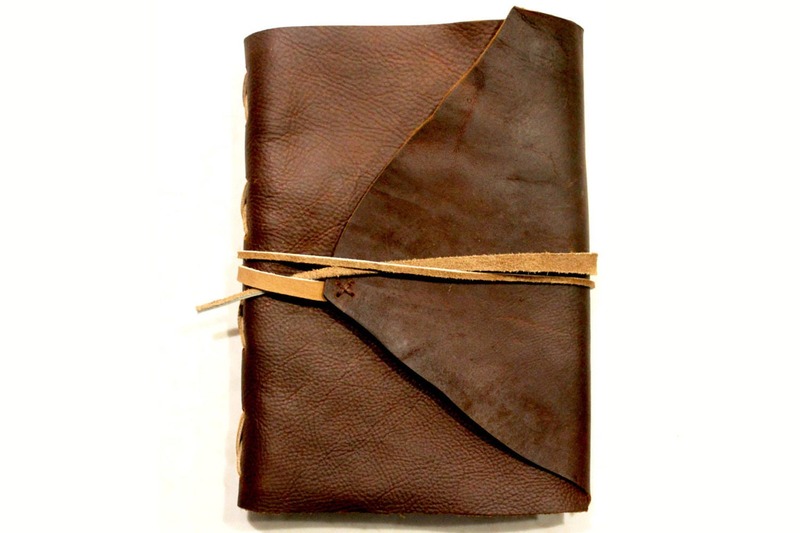 Handmade Italian leather photo album / journal / notebook with live edge and custom engraving. 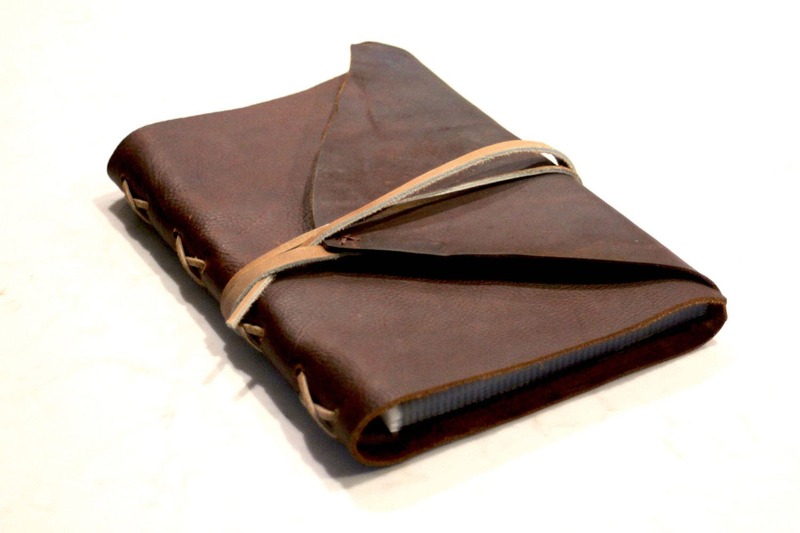 This Is a handmade photo album created with genuine top grain Italian leather. This book is made with only the highest quality materials with the intention of having each book last a lifetime. Each piece of leather is professionally tanned and worked to give the books a rustic look and feel, and to give each book its own character. Different colours of leather may be available (black, tan, and brown). Send me a message to inquire about the colours I have available. The live edge is optional and can be made into a straight cut edge by request. This book holds 5.5" X 8.5" pages, but it can be made to a custom size. 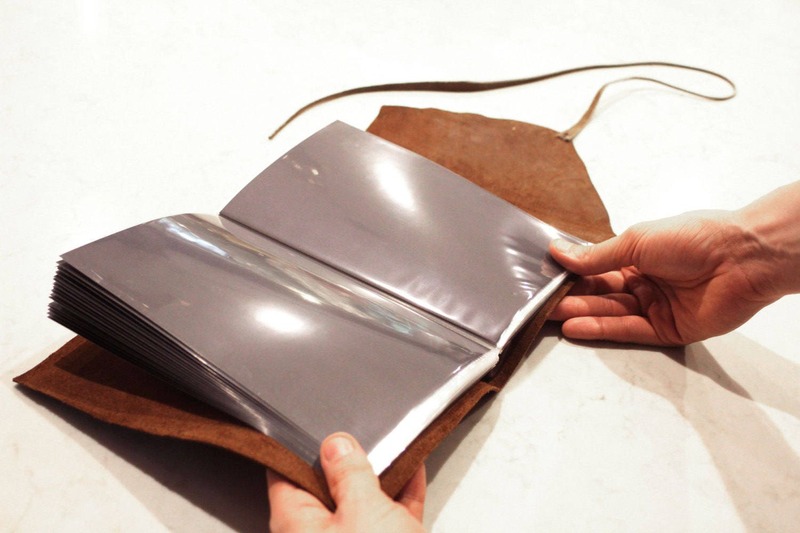 These leather books make great personalized wedding guest books in 8.5" X 11" landscape. These books are refillable and usually hold up to 20% more pages on top of the number each book is made to hold (although this is not recommended). This book can be filled with archival photo pages with black or white premium cardstock inserted (please let me know which colour you prefer during checkout), premium heavyweight cardstock, or lined paper. 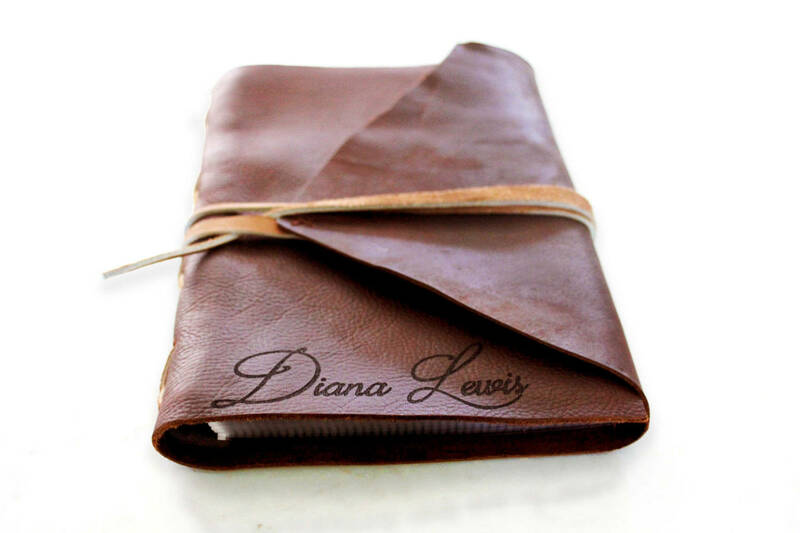 During checkout, please send me a message with the text to be engraved onto your leather book. 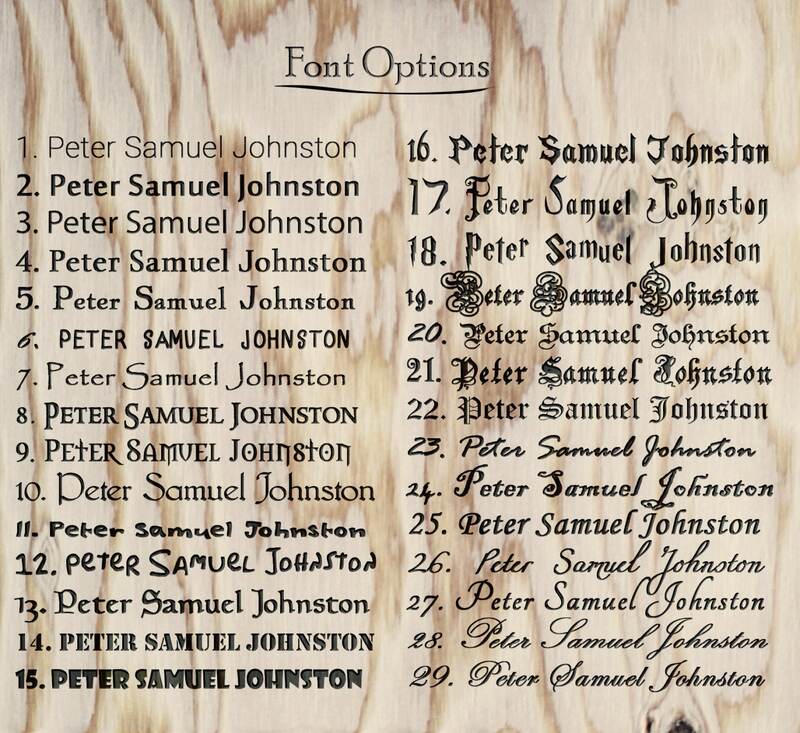 I will send you a couple of layouts and confirm the design with you before I create your book.